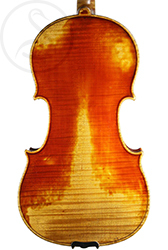 French violin-making in the 19th century has been dominated by the Vuillaume shop, but there are numerous makers at this time who produced more beautiful and more individual work. Gaillard is one of these, and this is a great example with a lustrous varnish and an outstanding concert tone. Charles Gaillard trained with Charles Adolphe Gand, and his work is very similar, powerful and authoritative, drawing inspiration from Lupot. The fiery red varnish is very distinctive, and always applied over excellent wood. 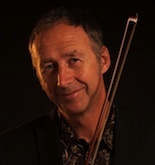 Vuillaume took French violin-making in a rather crisp and aseptic direction, away from the soft and sumptuous feel of Lupot and his followers which we see in this violin. Gaillard set up shop in 1851 – this violin (number 41) is from 1853, and could easily be mistaken for a Gand. The condition is very good – there are two small and neatly repaired cracks below each f-hole, and there’s a bit of checking in the upper left side of the table, otherwise the violin is very clean. The edges and corners are well preserved, and the state of the varnish is exemplary. 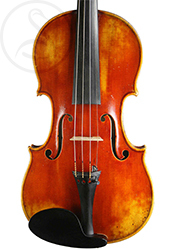 This is a big and bold sounding violin with a great response. 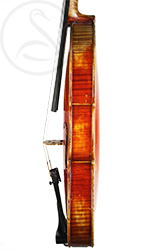 It’s quite muscular and it can take a lot of bow pressure, but it doesn’t need it. The tone is very even throughout the register and there are no weak spots – quite bright overall but with a serious core, focused and articulate. 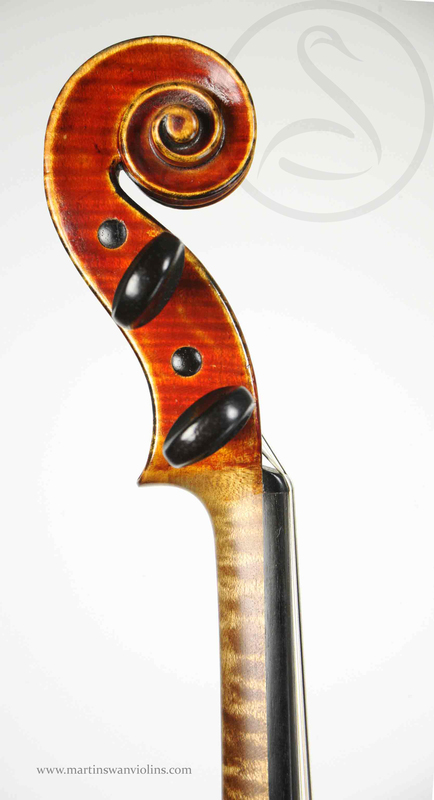 This is not really a violin for an amateur player, but if you’re looking for power and projection in combination with a rounded and sophisticated voice, this would have to be a contender. 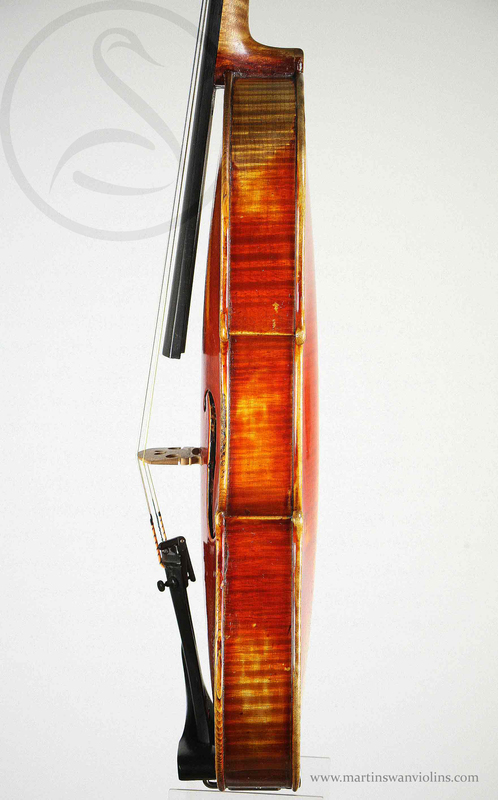 Interested in this Charles Gaillard Violin?